In the global age, it could be argued that an outward-looking mindset would be an invaluable tool that would embolden students to participate in a worldwide community of English speakers. Teachers can play a role in promoting notions of international awareness, and dialogue with the world outside of Japan. However, if these ideas are to be truly ‘owned’ by students, learners must find their place in the global community. 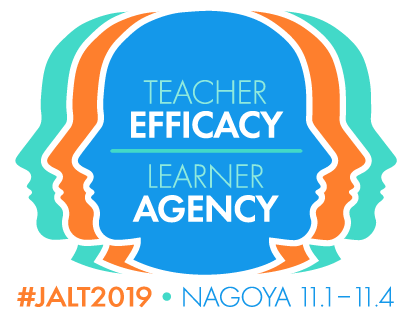 The Learner Development SIG Forum at JALT2017 is based on the theme of fostering international mindsets through autonomous learning both inside and outside the classroom. 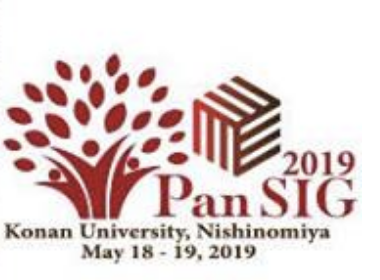 Presentations in this forum explore teaching and learning both in Japan and abroad, while engaging learners with global issues, contents, language, and experiences that broaden both their global and local perceptions of themselves and other people. Sometimes, one of the biggest barriers to developing confidence as an English user is the perception that a native-sounding variety is superior in some way. Learners feel that they cannot have an equal voice, and, as a result, they come to fear communication in international contexts. This presentation will highlight an effort to help learners discover the relevance of non-native varieties of English by exposing learners to recordings of several international users of English. Learners were asked to rate speakers on an attitude rating scale, and in the process, some learners recognized their own biases, while realizing that their previous misconceptions about non-native varieties were unfair. Many realized that they could not identify a native speaker, and that both native and non-native speakers can provide great models of English. As a result, many students came to realize, that even Japanese speakers have a voice in a community of English speakers. This presentation describes the results of a study exploring whether 32 eikaiwa gakkou learners’ preferences for native English speaker teachers were mirrored in their perceptions of the ideal teachers of Japanese. Findings reveal that a strong majority of learners believed that qualified non-native Japanese speaker teachers would not be effective at teaching Japanese pronunciation, speaking, listening, reading, writing or grammar, contrasting greatly with their beliefs regarding the teaching abilities of native Japanese speaker teachers. The presenter suggests that the participants’ preferences for native-speaker English language teachers may therefore be connected to learner beliefs about the teaching of their own L1 rather than the result of an Anglo-American imperialism within which the original concept of native speakerism is rooted. In order to explore the impact of study abroad on the mindset of study abroad returnees, I collected questionnaires from 61 participants of an international high school exchange program called “Youth For Understanding (YFU)”. The participants’ current ages vary from late-teens to 50’s, and they have all attended an American high school and experienced a homestay for one year in the U.S. The questionnaire aims to shed light on various aspects of the participants’ beliefs and mindset such as; what English skills they believe have developed through the exchange experience; what factors they believe are related to the development of their English ability; how the exchange experience has affected their lives, attitudes and sense of identity. The presenter welcomes input and ideas from attendees/audience members regarding this study. In November 2016 and again in June 2017, The Kansai Get Together group of the JALT Learner Development SIG, organised a student conference with the aim of encouraging students to engage in discussion of current globally-related issues facing Japan within five subareas: education, tourism, technology, environment and the workplace, using English. The participants of the Kansai to the World (K2W) student conference were local and international students from Kansai area universities. Within this student-centered event, participants actively employed their communication skills, empathy and cross-cultural understanding through poster presentations, discussion and reflection activities. In this presentation, we will first describe how the conferences were organised, and reflect on the experience. Using data from the post-conference questionnaires and interviews we will examine the effect of the event on the participants. This project follows science and engineering MA graduates from a private “Top Global University” who work in global Japanese corporations such as Fujitsu and Hitachi, and others who are currently studying or who have studied abroad. The graduates are asked about the role of English language in their workplaces and positions, their experiences using English in their present workplace or university, and their views on how well their studies prepared them for their present positions. The objective is to improve the science and engineering graduate English programs at their former university, which is now developing English-medium programs and dramatically increasing international student numbers. An important product of the research is the graduates’ narratives about the real role of English in global Japanese corporations and how the graduates actually cope with English. This will be invaluable for all teachers trying to increase international awareness, especially amongst science and engineering students. This interactive unit focuses on culture and identity through an in-depth look at the trailblazing story of Jackie Robinson. Students begin with study of higher-level vocabulary related to themes of culture and identity, followed by several activities that promote learner autonomy, such as small group discussions, journal writing, and debate. Students will learn about race and culture, and the powerful effect one special individual can have on a nation, by studying the true life story of Jackie Robinson and the breaking of the color barrier in professional baseball in America. Depending on the time constraints, this unit can cover a few class lessons or an entire semester. The presenter will give details of the unit, including sample worksheets and activities that can be used as presented, or modified for individual circumstances. This group project fosters a global mindset by allowing students to explore fascinating places across the globe. Students work in small groups to research, prepare, and give a presentation on a World Heritage Site (outside of Japan). Students gain a deeper understanding of culture by learning about places of interest in other countries. Students also learn and discuss issues of race, culture, and history by researching their chosen WHS. The group project allows for learner autonomy as each member must contribute to the project. Students experience teamwork and collaboration while planning a vacation to a WHS. Students are responsible for all aspects of the planning, including plane flight, travel while in a country, accommodations, and miscellaneous expenditures. The project is then presented in front of the class using a PowerPoint presentation with a minimum of 10 slides. The presenter of this poster reflects on his attempt to foster greater online collaboration among his fellow teachers of a university English discussion course with a unified curriculum. Through connections with the literature on teacher collaboration and innovation, he presents the process of establishing a forum on Slack.com and the results of moderating online discussions about lesson planning, reflective practice, and connections beyond the classroom. He then reflects on why this project was ultimately unsustainable without his active moderation and how others might learn from this experience. “How can I do fieldwork on development and nationalism?” “What does ‘writing from within’ mean?” These are some of the stimulating questions that K., a third-year student keenly interested in Japan’s relationship with south-east Asia, has been raising in recent months. Since April we have been talking together about exploring his research interests—first at university here in Japan and now in weekly Skype discussions as K. studies for one semester in Cambodia. K. has been doing several observation, participant observation, and interview fieldwork tasks. He has also been writing extensively, reflecting on his changing understanding and awareness, to explore how development and nationalism are performed in daily life, by different organisations, in the mass media, and at various public sites. In this presentation I look at K’s ongoing growth of critical reflection and sketch important transformations in going international through doing such fieldwork and fieldwriting. In addition to grammar and vocabulary, students need to practice developing a range of sociolinguistic and strategic competencies in order to develop communicative competencies appropriate for the global stage. In many universities in Japan, students are hindered in their language development by a lack of real practice opportunities in the target language. Furthermore, few text books available on the market explicitly focus on developing strategic and sociolinguistic skills that students will need when they come face-to-face with non-Japanese English speakers. Following on from six years of observations of exchange classes between international students and Japanese students, this presentation will show the audience various conversation management strategies that Japanese students should be made aware of and should practice in order to be ready for English conversations with non-Japanese English speakers. The presentation will cover results of observations, explanations of these results, class materials, and classroom management. In order to foster an “international mindset” (i.e. an openness to interact with the international community through the medium of the English language) amongst our students, it is first important to evaluate how comfortable and motivated we make our students feel to do so in the classroom. First of all, where are the majority of Japanese people regarding proficiency in the English language, regardless of age or background? How eager are they generally to participate in activities with the standard communicative learner-centered techniques preached the world over by TESOL, the British Council, and other official institutions of formal English instruction? This poster presentation seeks to explore what our possible blind-spots are regarding Japanese leaner anxiety in the classroom due to different cultural mindsets between the students and foreign instructors, as well as how the strategic use of L1 in the classroom with beginner level students may be helpful in alleviating some of the students’ apprehension about learning English with a foreign instructor. Studying abroad has been shown to have lasting benefits for many students, including greater language proficiency, intercultural awareness, and personal growth. However, the number of Japanese students studying abroad remains low. Much of the literature on this trend focuses on the societal, economic and personal barriers to study abroad (Ohta, 2011). In contrast, this presentation seeks to better understand students who have a strong interest in study abroad from the time they enter university. Focusing on students in a study-abroad preparation program at a Top Global Type B (Global Traction Type) university, this preliminary study uses survey data to examine the reasons why students want to study abroad, as well as the clarity of their goals related to study abroad, and how their interest in study abroad developed. After introducing and conducting English Lounge for 5 years single-handedly on once a week basis, the school took it over from me and started running it every day of the week from 9:00 to 5:00. As the founder of it, I wanted to investigate if the users of the English Lounge view it as a place that gives them the opportunity in raising their global awareness. Survey questionnaire was used to gather data from the students. This poster presentation will report on how critical self-reflective writing was used to aid cognition in a CLIL course that focused on global issues. In this twice-a-week course students learned about and discussed a particular issue over two lessons before moving on to another issue that was connected thematically. After the two-week period the students took a listening and discussion test and were required to write an in-depth reflection on the topics that they had studied. This reflection included: a summary of what they had learned on about the topic, a discussion on their personal perspectives on the topic and an assessment of their language development. This presentation will report on both the development of the reflective writing activity and discuss examples of students’ writing, with comment on how it helped to develop their global mindset. Recently, there is an increasing number of universities introducing an English-only policy in English classrooms. This causes numerous changes not only for students but also for teachers. This qualitative study will share the research design of teacher beliefs, and present the results of the interviews with instructors of English with an emphasis on how teacher beliefs are made changes and how they remain unchanged in terms of other aspects.